Whether you’re shopping for something you need or not, it’s always great to know when and how you can save money. A lot of retailers overprice their items, but thankfully there are ways you can work around their “deals.” So even if you don’t really need those jeans, knowing the price difference can save you a lot of money. And even if you’re not a coupon cutter, there are plenty of hacks and times you can shop so taking out the scissors isn’t even an option. Target: There are only a few large department stores I like to shop at, and one of them is Target. Many people already shop there for their clothes and knowing what days Target has their discounts can help you save money. Their discount days start with Monday for kids clothing, Tuesday for women’s and junior’s, Wednesday for men’s clothing, Thursday for sleepwear and athletics clothing, and Friday for scarves and jewelry (as well as all other beauty items). Kohl’s: I don’t shop here as often, but it can help to know when their discounts are in case I’m looking for a birthday/Christmas present, or shopping there strikes my fancy. Kohl’s has something called Power Hour specials where you can get 10-25% off on clothes (online as well). There are two different times you can shop during these Power Hours. The first time is from 3PM to closing on Fridays and the second time from open to 1PM on Saturdays (for those who like to get there early). Just make sure to check online since these happen a couple times a month. JCPenney and Macy’s: I thought I’d put these two together since they’re both some of the biggest and most well known department stores in malls. JCPenney has their discount twice a month; the first and third Friday where you can save around 75% on items with a blue price sticker. Macy’s though starts to mark down items on Sunday and finish on Tuesday. So shopping on a Tuesday or a Wednesday at Macy’s is a great way to get some awesome discounts on clothing. For years I avoided shopping at places like Ross, TJ Maxx, and Marshalls. It seemed like a step down from my usual favorite retail stores (wading through the discounted clothing that all hung together wasn’t appealing to me). But then I discovered the joys of finding pieces that looked great, fit me.. and was a brand I actually knew. And on top of all that, they have days that you can shop on to get even more of a discount. TJ Maxx Discount Day: The best day to shop at TJ Maxx is a Wednesday in the morning. Their new shipments and markdowns take place between Tuesday and Friday making this (especially when the store is so quiet) the best time to go shopping for clothes. Ross Discount Day: Mondays and Tuesdays are the days Ross does their markdowns for items, so shopping later on in Tuesday and on Wednesday is a great time to get some awesome deals. In my recent post 5 Money Saving Apps for Shopping, I talked about a few of my favorite apps that offer rebates and rewards. Because who doesn’t like getting something back when they’ve just spent money. But I’ll keep this short and talk about two apps that will help you save money. RetailMeNot: This one is a favorite of mine, it’s literally like having thousands of coupons in your pocket or purse. You’re able to look for coupons to basically any store out there, show the coupon on your phone through the app, have the cashier scan the coupon, and just like that you’ve saved money. None of the hassle of printing or cutting coupons. SnipSnap: Almost the same as RetailMeNot with the coupons, however it has an awesome feature that I love. You can take a picture of the item at the store, then SnipSnap will identify it and find you the best coupon to use. No searching to find the right coupon, it does it for you. If you’re looking for specific items, here are the best times to shop for them throughout the year and save money. January: Suits; considered a slow month for suits, prices are lowered to help sales. February: Jewelry; you have Valentines Day to thank for this discount special. April: Raincoats; retailers end up pushing raincoats since the sunnier days come the next month. April/May: Thrift Stores; during this time (spring cleaning? ), people end up giving their clothes to thrift stores. May: Athletic Apparel; Now that it’s sunnier out, retailers know that the joggers and gym members will be out as well. July/August: Summer Apparel; since it’s getting closer to Fall, retailers will start to put summer clothes on discount. August: Swimsuits; Fall merchandise is now rolling in, time to get rid of all things summer! September: Sunglasses; Now that the days are getting shorter, sunglasses get a mark down. October: Denim; All those back-to-school clothing campaigns have ended, and jeans are now being discounted. November: Luxury Items and Sneakers; because of black Friday, luxury items you wouldn’t normally get are now possible to buy. And because the season of rain and snow is coming, sneakers are being marked down, since many will be buying boots. December: Outerwear; even though it’s still cold out, retailers are now bringing in their spring merchandise. So outerwear is officially on sale. 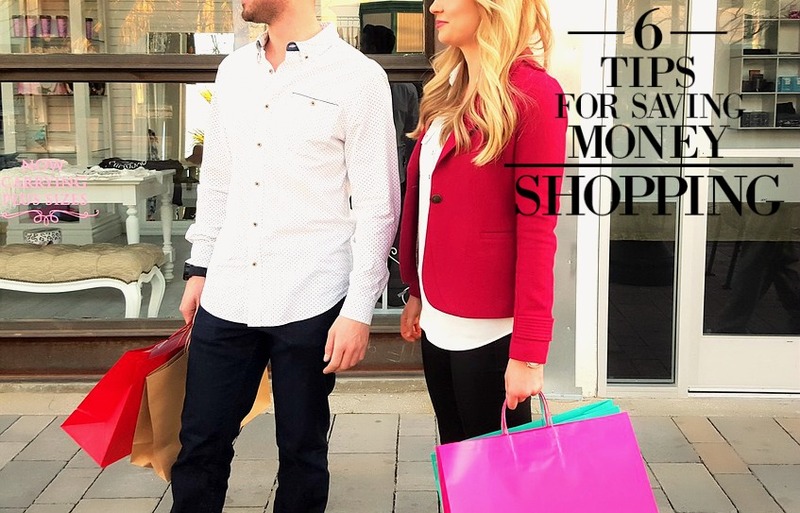 I found recently that a company called Shop It To Me analyzed thousands of items from 200 online retailers and found the best days to shop for specific items and save money. On Mondays, you can save around 50% on men’s and women’s dress pants, and also around 55% on sunglasses. On Tuesdays, save more than 40% on men’s apparel. Wednesdays, shoppers can save around 40% on children’s clothes and shoes. Thursdays, you can save 36% on handbags. Fridays, you’ll save 42% on jewelry, belts, and scarves. Saturdays, 37% off of on Lingerie, and 51% off of jackets/outerwear. Lastly Sunday, you’ll see a 52% off of swimsuits. If you love the rush of the mall, I sadly don’t have the ability to tell you all of the discounts of every store (especially since I have no idea where you like to shop or what shops are in your mall), but I can tell you a few general times you can shop and save. Every time a season comes around (and even weeks before), retailers start to bring in the new seasonal stock with extra high prices. And that’s because they know they can sell to anyone who feels they must have the newest summer or fall outfits right away. However, if you wait six weeks into the season, prices will start to drop as the demand starts to fade and retailers start to bring in next seasons merchandise to stay on top of the game. It may be popular to shop on Friday or the weekend in general, but try Thursday nights. Because the weekend rush is about to happen, retailers will mark down their prices on Thursday night. This means you can beat all the people coming in on Friday or Saturday, and save money by getting a head start on looking through those discounted items. Certain malls have bulletins online that will show you the latest discounts you can take advantage of with certain stores and what days and times the sales will take place. So look up your mall and see what they have to offer. Then you can beat the rush when the discounts are first displayed. Sometimes we really need something, like a new pair of shoes or work clothes. And sometimes we just want to splurge and get something new. Either way, it’s awesome when you can find great deals and save money when shopping. It always feels good to know when we’ve saved money and still got something we actually liked instead of settling. Now it’s your turn to tell us what your favorite money saving shopping tips are! Email us or let us know in the comments below how you’re able to save money on clothes!